The hotel Herbert Samuel is a luxurious new hotel in Jerusalem's SOHO - Nahalat Shiv'a neighborhood, a crowded pedestrian promenade lined with sidewalk cafes and unique cultural vibe. A kosher Herbert Samuel restaurant is located on the top floor of the hotel, with a scenic view of Jerusalem. The hotel presents 134 rooms and 3 lavish suites, all featuring an innovative modern design style. The hotel also includes, among other deluxe amenities, smart TVs in guest rooms, complimentary wireless internet access, and free phone calls to all worldwide destinations. The hotel guests may enjoy the Hotel's upscale amenities such as a spa with five treatment rooms, picturesque indoor heated swimming pool, well-equipped gym, sauna, steam room and more. The Herbert Samuel is a great place to stay refreshing experience, dynamic cultural and historic center that integrate the lively pace of city life. “The Herbert Samuel is now an integral part of the Jerusalem experience. On the 11th floor rooftop balcony appears a breathtaking view of the the Old City, staying at the hotel is an absolute joy for every visitor to the city of gold. HERBERT SAMUEL RESTAURANT Herbert Samuel was born on Tel Aviv’s coastline 9 years ago and changed the culinary scene in Israel. Introducing a creative modern chef’s kitchen, served in a relaxed yet fine atmosphere – a new Israeli kitchen where the seasonal ingredients from the local markets are the main issue. The restaurant offers modern design and atmosphere with an open kitchen concept in the center of the restaurant’s space. Surrounding with a breathtaking view of the most unique city in the world. Herbert Samuel Jerusalem is a sister to the Hebert Samuel restaurants in Hertzlia and Tel Aviv. A part of – ADIS LIFE STYLE HOSPITALITY GROUP. 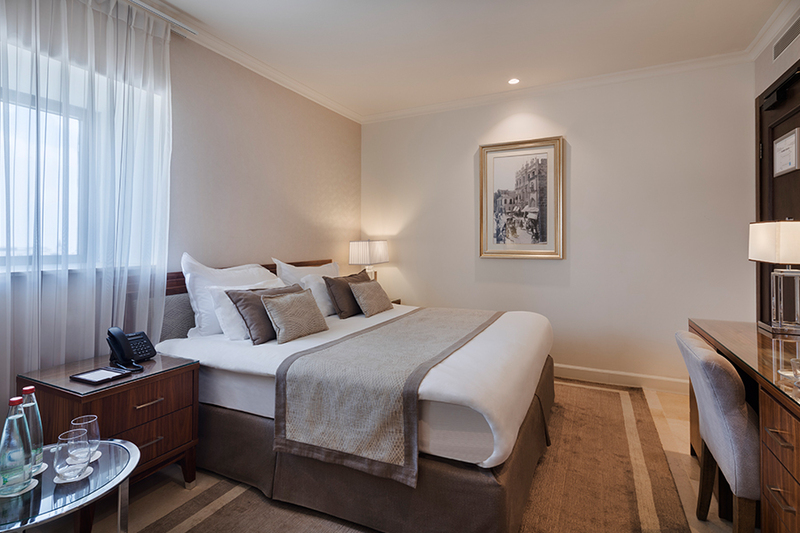 Centrally located, the hotel is conveniently close to the Nahalat Shiva pedestrian district, Zion Square, and the main pedestrian mall on Ben Yehuda Street, with the Old City and many popular city center attractions just a minute’s walk away. The Herbert Samuel is also within walking distance of Jerusalem’s public transportation services such as the light rail and buses. 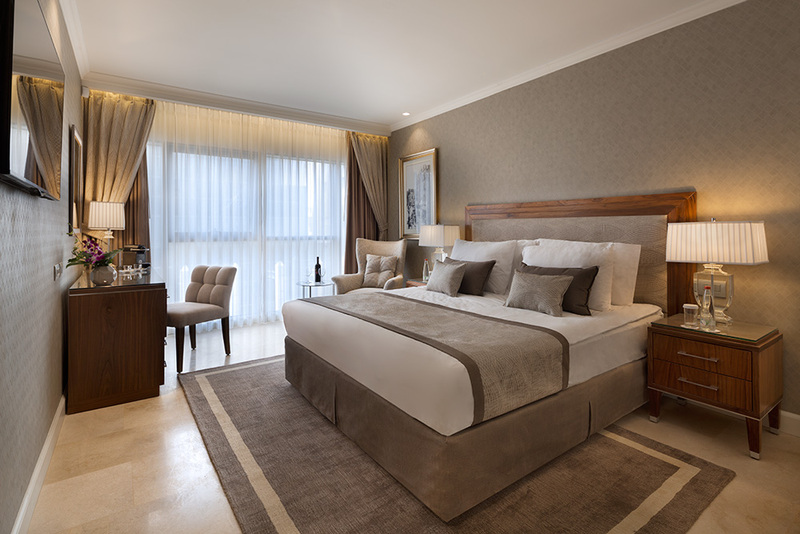 LUXURY SUITEThe 40-sqm Luxury Suites overlook the spectacular view of Jerusalem. These opulent suites feature a sumptuous king-size bed, comfortable separate sitting area, luxurious shower, espresso machine, safe, hairdryer, minibar, and 65-inch television. All rooms include free Wi-Fi. Maximum occupancy is 3 adults, or 2 adults and 2 children. 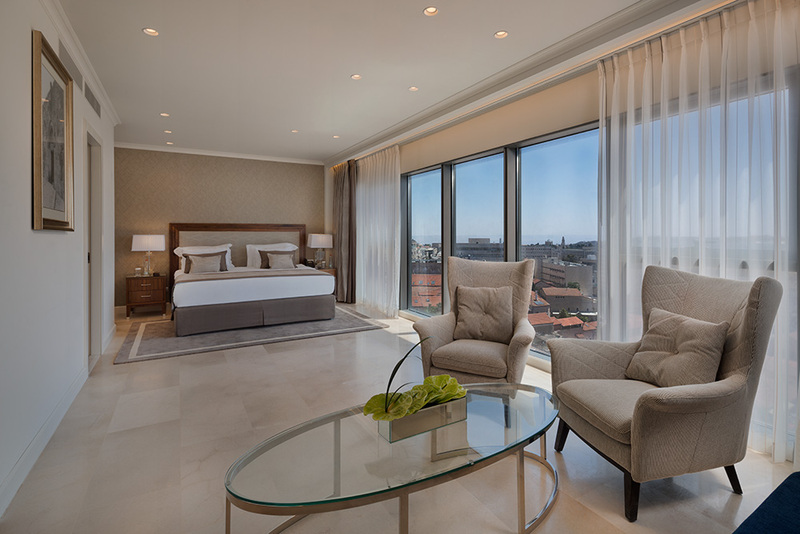 Deluxe City View RoomsThe 28-sqm Deluxe City View Rooms offer stunning views of the city. These elegant rooms feature a sumptuous king-size bed, luxurious shower, espresso machine, safe, hairdryer, minibar, and 48-inch television. All rooms include free Wi-Fi. Maximum occupancy is 2 adults and 1 child. 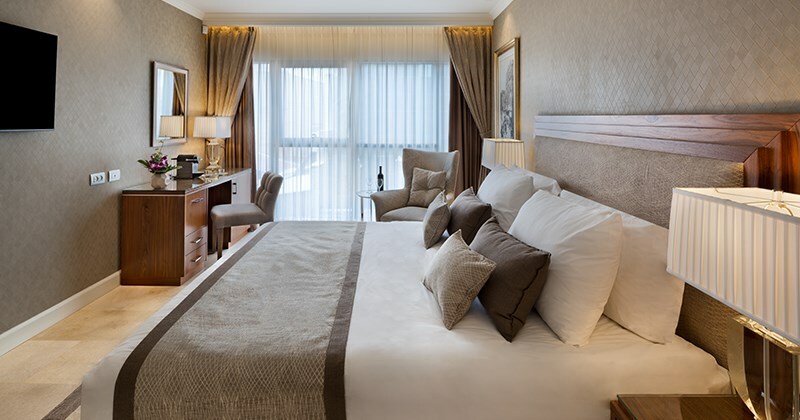 Superior RoomsThe 18-22-sqm Superior Rooms feature a sumptuous king-size bed, luxurious shower, espresso machine, safe, hairdryer, minibar, and 48-inch television. All rooms include free Wi-Fi. Maximum occupancy is 2 adults and 1 child.